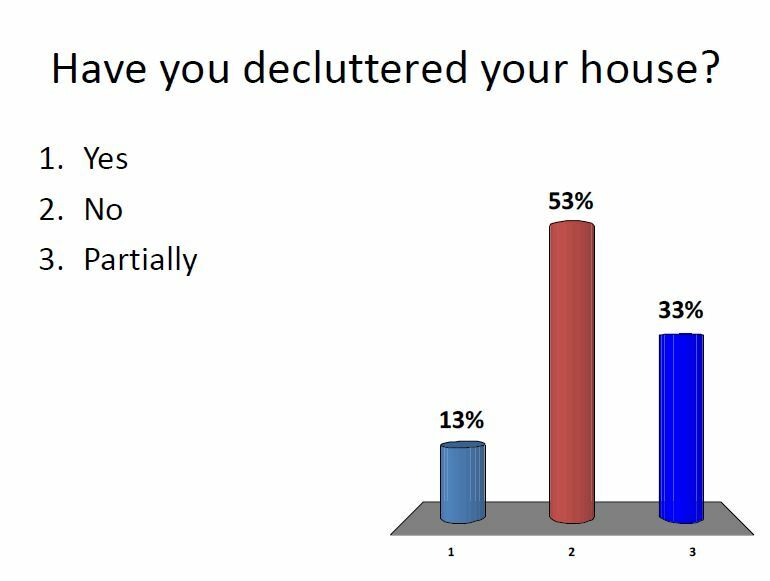 Interestingly, in answer to this question, nobody said they hadn’t got a cluttered house but at least half of the respondents were happy with how things were. Nonetheless the accumulation of a lifetime possessions can often be a concern to people in later life. It’s also often difficult to part with things that hold so many precious memories. However, the advent of TV programmes like Flog It or Under the Hammer, illustrate how things from our past which are no longer of use, can often be valuable in the eyes of other people. Footnote: The ability to sell some of these unwanted possessions on eBay might well give people the resource to spend on other things.